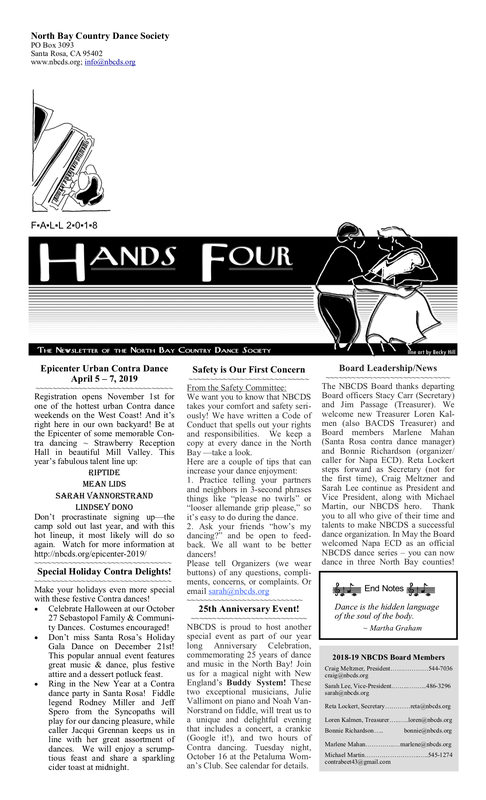 The current Hands Four newsletter is available at all of our dances. 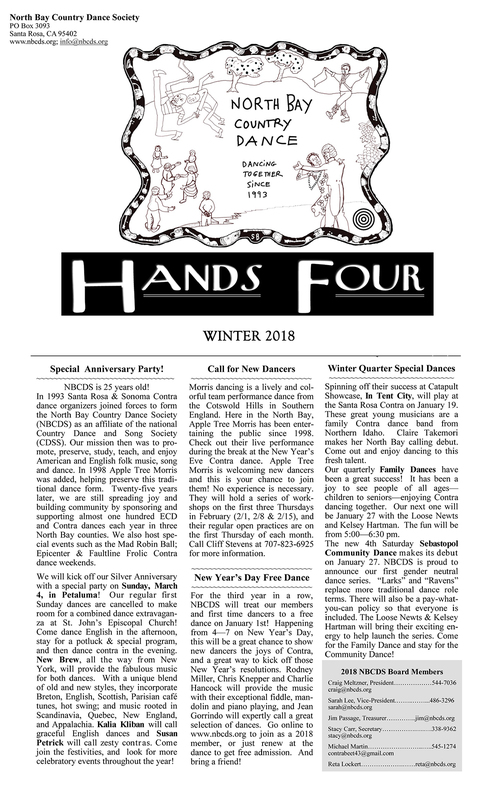 It contains our current schedule as well as relevant and stimulating articles about our dances and dance forms, designed to tickle your fancy. Please sign up below. You can also pick one up at any dance.